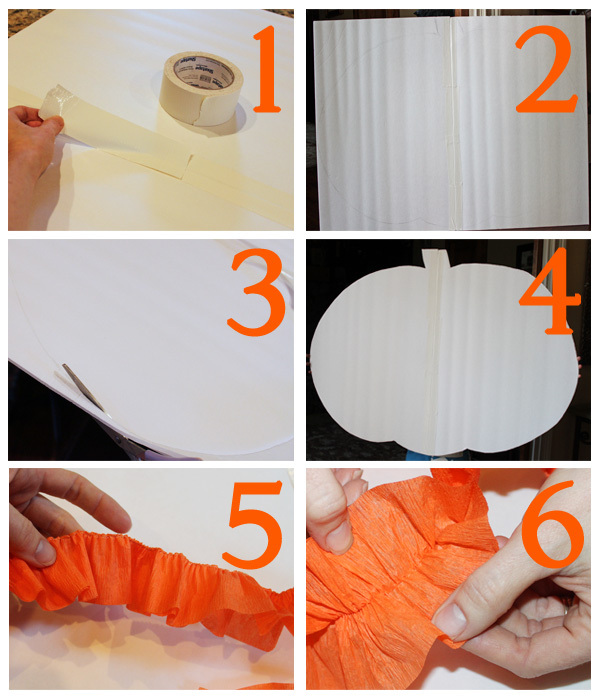 One of the things I loved most about the HALLOWEEN PARTY I posted about yesterday was the DIY projects with crepe paper. Crepe paper is such a wonderful medium for crafting. It's inexpensive, widely available and comes in so many colors. 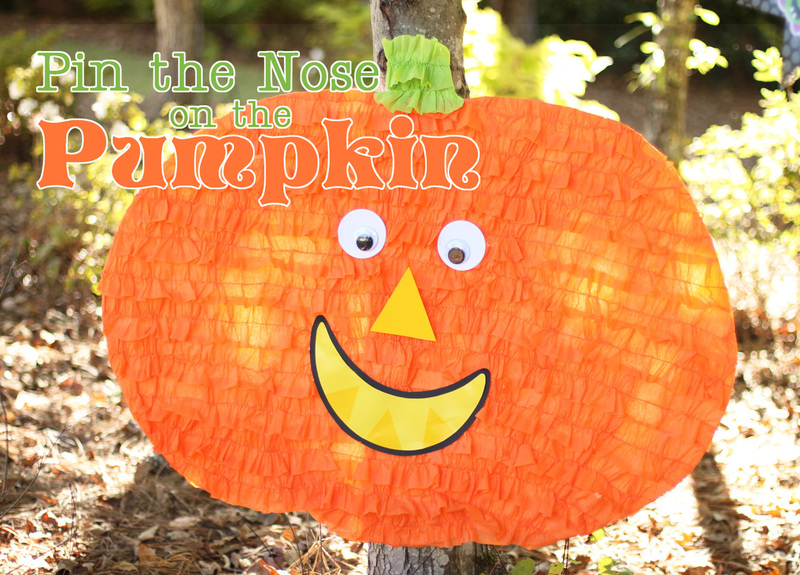 When Kristyn from Lil Luna showed me her Monster Party game made from crepe paper, I knew immediately that I should create a Pin the Nose on the Pumpkin game for my Halloween Party. This project only cost about $4.00 to make, too! 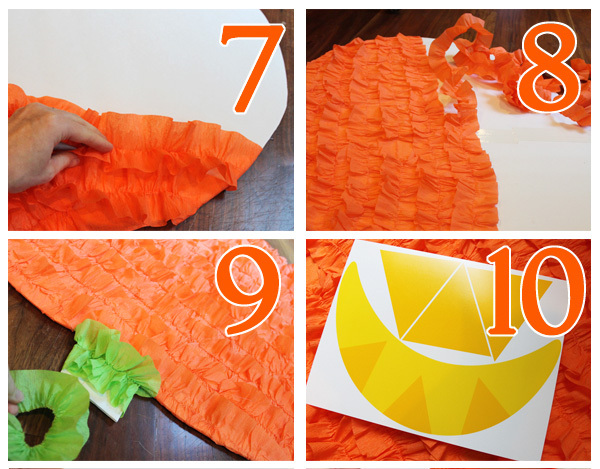 You will need to have a sewing machine to make the crepe paper ruffles, but once those are made, the pumpkin will come together in no time at all! 10. Cut out your mouth and nose pieces from the Halloween printables, or create your own with some construction paper. 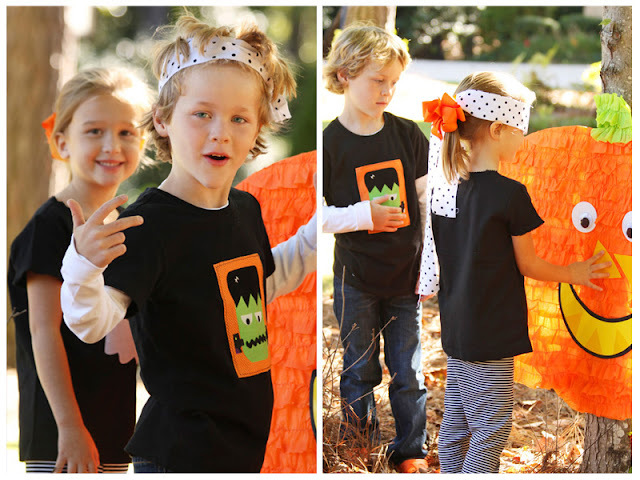 I also used some large googley eyes for the pumpkin's eyes, but you can make your own eyes as well. Now you're ready to play! 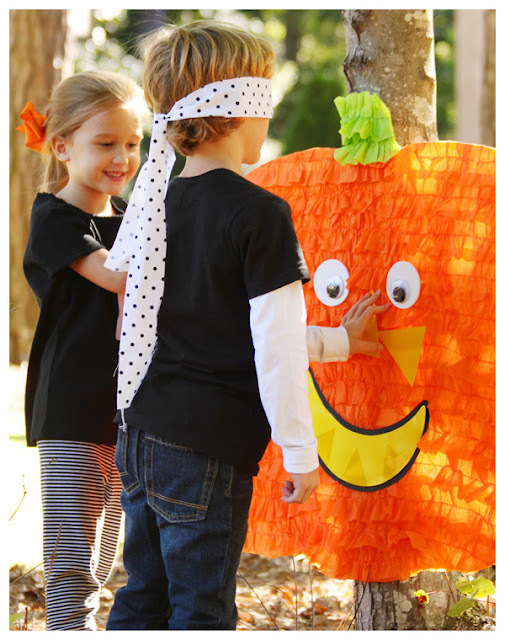 Blind fold the kids with a simple scrap of fabric, spin them around a little and give them a nose piece with some tape adhered to the back. Let them take turns placing the nose on the pumpkin and make sure you have some fun little treats to give away after the game. This would be a fun little game to take to school parties, too. And don't forget the mummy wrap with toilet paper - that one is always a big hit with the kids!